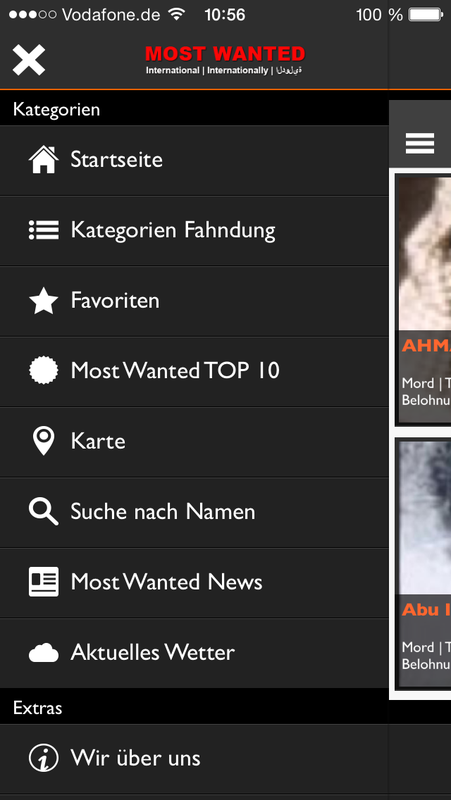 In our news section you will always find current search operations at a glance. 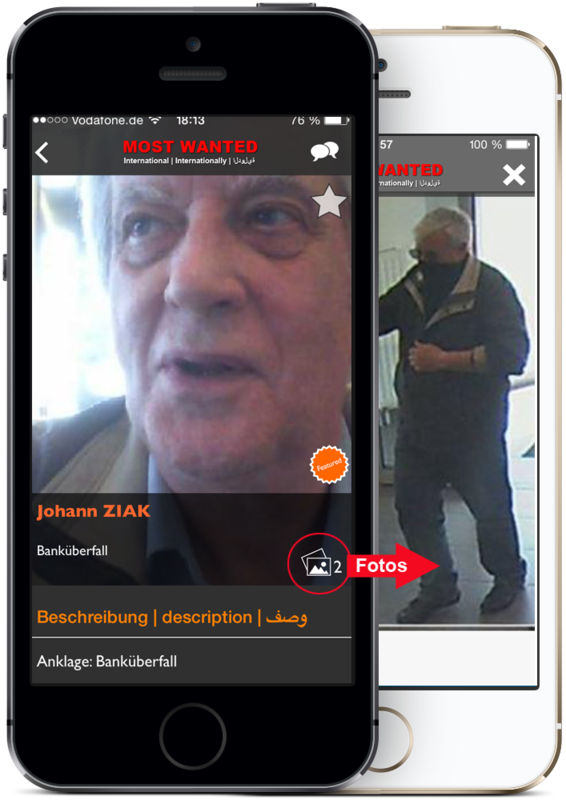 In the Most Wanted APP a look at the search operations with up to 5 milion dollar reward leading to the seizure. 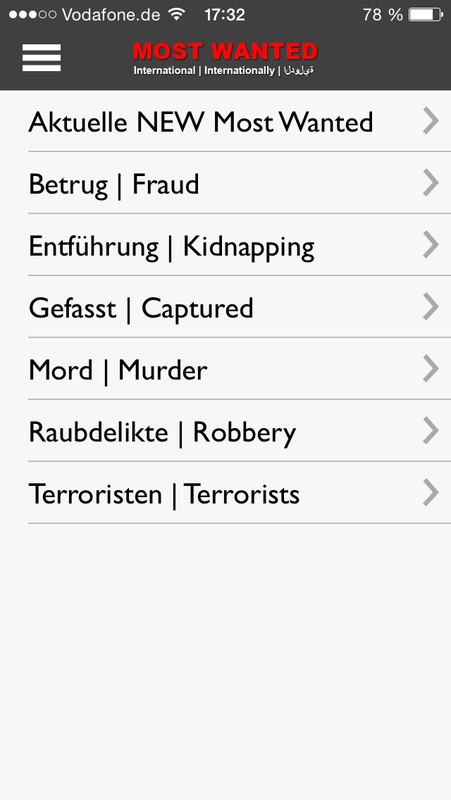 Among the different categories we FBI, Europol, Interpol or BKA take a look at manhunts. Help in the pursuit with a pitch on Facebook and Twitter. 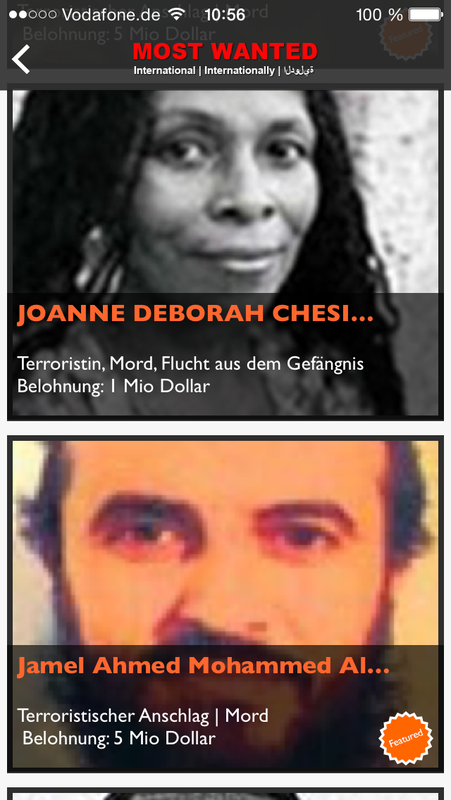 Among all categories can be found numerous mug shots all from official sources. 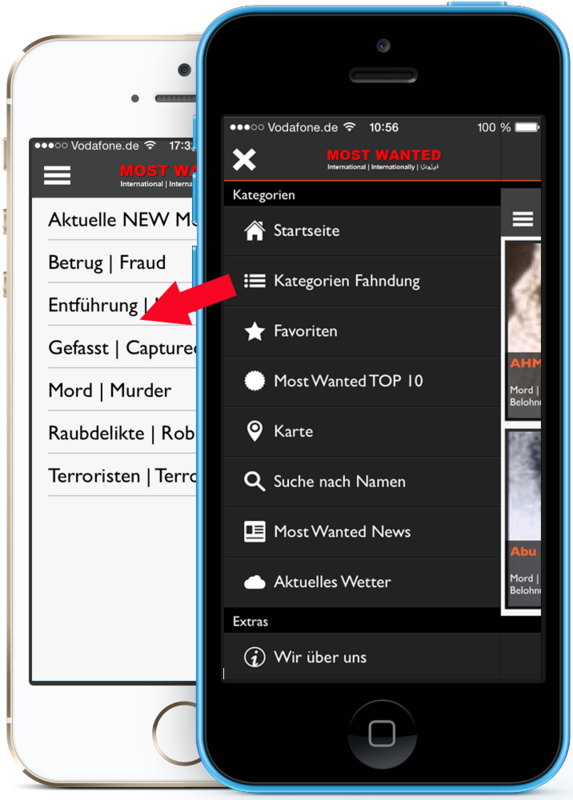 You can use our app online and offline use for the perfect investigation. 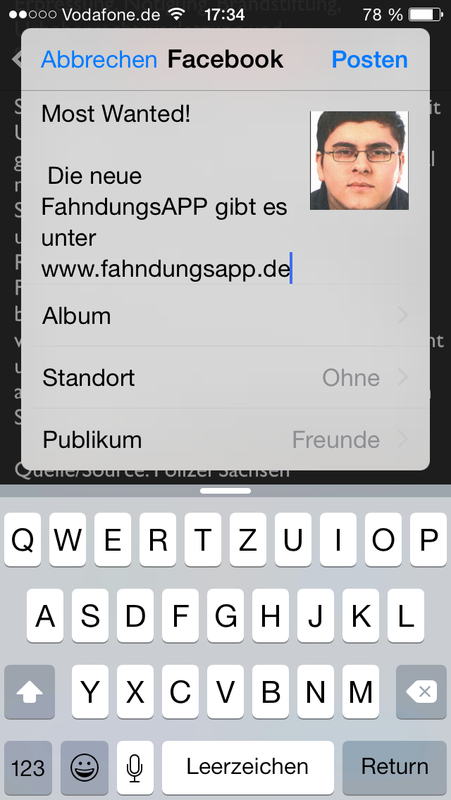 Recent photos of the Most Wanted APP. 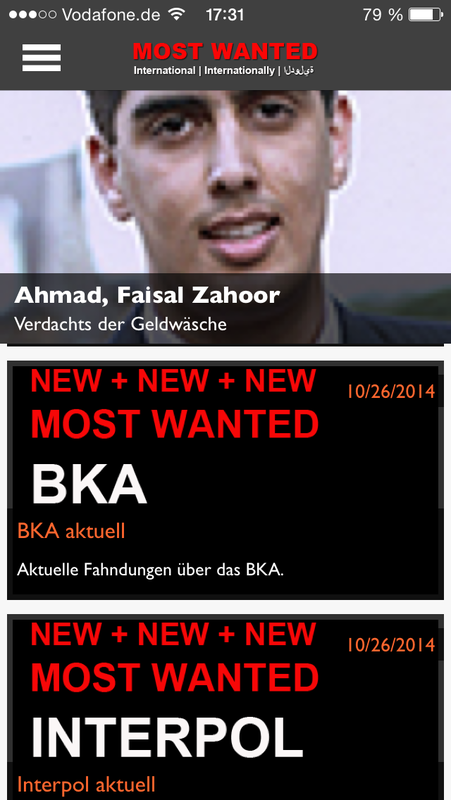 | Recent photos of the Most Wanted APP.